An SEC subpoena is not exactly what any Issuer (or stock promoter) puts on the top of their birthday wish list. And, for crypto cool kids who are either already a member of the ICO Issuers Club, or who have applied to become part of the dapper dapp crowd that is floating digital coin or digital token offerings, its time to make sure that you have set aside real cash (or crypto-currency) for defense counsel fluent in engaging with the SEC. As noted by investor document preparation firm Prospectus.com, “According to multiple news outlets, in recent weeks the SEC has sent subpoenas to dozens of blocktech companies and individuals who are involved in cryptocurrency, including crypto crowd thought-leader Patrick Byrne, the founder of Overstock.com and his company’s cryptocurrency-focused subsidiary, tZero. When Overstock announced in early November they would be launching an ICO, the company’s shares skyrocketed from the the mid $20’s to nearly $90 per share in a manner of days. When it was revealed this week that Overstock (NASDAQ:OSTK) was one of multiple companies that have received SEC subpoenas, its share price plunged 20% in two days. The targets of the initial coin offering crackdown subpoenas include potential SEC enforcement actions against companies that have launched ICOs, the cryptocurrency equivalent of IPOs, as well as their lawyers and advisers. The subpoenas reportedly include requests for information on how ICO sales and pre-sales are structured, according to anonymous sources to WSJ. The SEC is also requesting the identities of the investors who bought digital tokens, The New York Times found. The SEC declined to comment. Peter Berkman, a Florida-based securities attorney and US Federal Bar Association member who also advises investor document preparation firm Prospectus.com, stated “Nobody should be ‘shocked’ that regulators are stepping up their scrutiny of ICOs given that many have the characteristics straight out of “Boiler Room 4.0.” There’s a cadre of bad actors and so-called promoters who are preying on the naivete of start-up entrepreneurs as well as the greed profile of unsophisticated investors,” stated Berkman. There are steps that ICO issuers can take to stay inside the regulatory goal posts, or at very least, under the radar given that SEC rules for ICOs remain in the ‘forming stage. Attorney Berkman advocates ICO Issuers should be compelled to understand the term “Caveat Venditor”, unless they want to be moved to the top of the SEC’s ICO Subpoenas list. Prospectus.com thought-leaders were arguably early to opine that among other ICO compliance guidelines to follow, accredited investor guidelines should be embraced by ICO issuers. The firm has provided multiple crypto cool kids and start-up entrepreneurs with a best practice approach to raising capital in the course of advancing digital token and digital coin offerings. Any asset manager in today’s world who has more than $500 of AUM does not need to be fluent in the language of fintech, blocktech or be able to explain ‘the internet of things’ to understand the benefits of embracing blockchain dapps and the power of distributed ledger technologies. 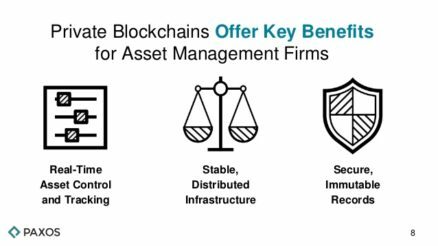 Any asset management firm that claims to be operating in the world of institutional fund management does need to get on the blockchain bus–or risk getting run over by it. (courtesy of Prospectus.com LLC) As part of ongoing series “Its About Blockchain, Blockhead, Not Bitcoin!”, FT reporter Attracta Mooney hit the yellow zone of the target in a recent column profiling the how, where and why investment industry asset managers in UK, Ireland, Luxembourg, Hong Kong, Singapore, Taiwan and Australia could enjoy nearly $3billion in annual savings were they to embrace blockchain’s distributed ledger powered processes. After all, the new ‘internet of things’ blockchain value proposition for securities industry purposes is specifically designed to deliver at very least, greater efficiency in work flow, greater trust in the information being shared, enhanced transparency among trade processing constituents and more effective use of human capital resources. Where? Let’s focus on the back office, the central place where administration of transaction reporting, accounting, trade processing and related legacy “drop copy” tasks take place. How? Distributed Ledger dapps leveraging the blockchain ecosystem are intended to mitigate duplicitous human interactions within the context of transaction affirmation, transaction processing, transaction reporting and transaction documentation. schedule a call with a fellow named George Chrisafis, who oversees fintech merchant bank SenaHill Partners’ Emerging Tech and Infrastructure Advisor Group. George is an IT industry grey beard with 30 years of domain expertise and his CV includes senior roles at the world’s biggest banks. When it comes to distributed ledger—as well as AI applications being developed for the securities industry, George is a reliable source of insight. bring a high school or college-aged family member to your office and have them deliver a 5 minute dissertation on the topic of blockchain and distributed ledger, and to limit the cryptocurrency explanation to 1 minute. For some, the topic is confusing, but this is confusing, there is no shortage of simple primers and tutorials that frame the value proposition of distributed ledger. Why Asset Managers Should Embrace Blockchain applications Barring above steps to independently confirm the thesis put forward in the FT article (excerpt and link below), let’s jump straight to the topic that best defines the purpose of asset managers: MONEY. Now let’s delve into the real cost and real expenses associated with their role(s) from both a human capital perspective and IT angle. [The information cost (research) and marketing expense components can be addressed in a different opinion piece}. From a human capital expense perspective, transaction reporting tasks are notorious for their duplicative and redundant steps spread across various internal departments; many back-office professionals lament the high risk of Death by Drop Copy, simply because much of their time is spent drop-copying one file from one software application into an unconnected software application that performs a different task. From an IT perspective, let’s opine that most investment management firms are spending considerable sums each year on software licenses, software maintenance, and software administration. Succinctly, blockchain applications can save tens, if not hundreds of thousands of dollars to an established asset management firm—in turn enabling a firm to deploy those cost savings to revenue producing initiatives and recalibrating how internal human capital resources are better utilized. Blockchain ETFs Debut-It’s About The Blockchain, Blockhead, Not Bitcoin! 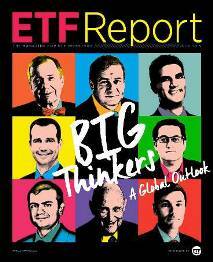 What’s Next for exchange-traded-fund land? Blockchain ETFs! Duh?! Aside from the efforts by the Winklevoss Boys and a cadre of others to introduce a Bitcoin ETF, Blockchain companies (now known as ‘blocktech’ firms) fall into the sweet spot for fintech investors and public companies that are pivoting, re-purposing or adding to their value proposition with a blockchain-based approach to enhancing e-commerce, big data applications or other tools are top candidates for an exchange-traded fund dedicated to the world of crypto and distributed ledger. In case you’ve been hiding under a brick for the past many weeks, blockchain technology is in the spotlight due to the mania surrounding bitcoin and other cryptocurrencies. If you were not aware, blockchain technology is the engine that powers the sauce that goes into cryptocurrencies. To coin the phrase (pun intended, courtesy of MarketsMuse top pundit), “Its all about the blockchain, Blockhead! Not the bitcoin!” –meaning the blockchain is foundation to wider applications, not just supporting digital money. In other words, blockchain serves as a “distributed ledger” that provides a secure and unalterable record of transactions that have taken place and other key pieces of information, storing them in linked blocks of data. Think of blockchain as a multi-dimensional spread sheet that lives in real-time and is refreshed with every interaction by those who are enabled to access the application. The bitcoin or token element is therefore the key or passport to accessing the spread sheet. So, it seems to make sense that as more companies seek to leverage this new generation technology, there will be more prospective candidates for blockchain ETFs, which are likely to morph. 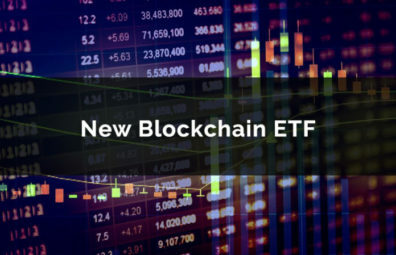 ETF.com commentary profiling the new listings continues with “..BLOK was actually the first blockchain ETF to go into registration. 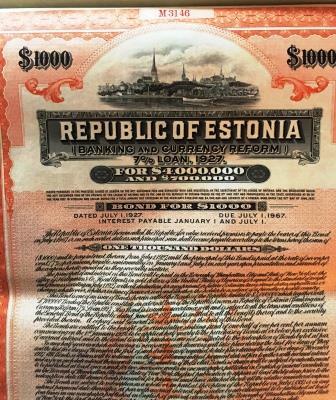 The fund can invest in domestic and non-U.S. securities, including depositary receipts, according to the prospectus. It will focus primarily on firms that are developing or using blockchain or similar technologies. According to Christian Magoon, founder and CEO of Amplify ETFs, developments among the companies in his firm’s Amplify Online Retail ETF (IBUY) alerted him to the fact that cryptocurrency was an emerging trend. “That started to get us interested in the blockchain equities side of things given the potential of blockchain technology to disrupt; it certainly seems to have potential that is almost similar to the internet’s,” Magoon said. The range of companies allowed in the portfolio covers those engaged in research and development, and the implementation of blockchain and similar technologies; those profiting directly and indirectly from demand for such technologies; those partnering with companies engaged in blockchain research, development and implementation; and those that belong to consortiums or groups formed to explore the potential of such technologies. Companies must also meet minimum size, price and liquidity thresholds. Further, the portfolio managers consider the depth of the involvement of companies when selecting them for inclusion in the portfolio, classifying those that are selected as either “core” or “secondary” companies based on their activities, the prospectus said. “We think companies that are leaders today in researching, investing in or receiving revenue from blockchain are going to be well-positioned for tomorrow—similar to companies that engaged in internet technology early on,” he said. 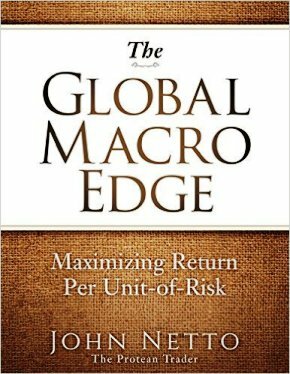 Magoon’s firm offers actively managed and index-based ETFs, but he believes active management is particularly important for a fund such as BLOK. 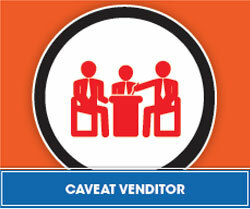 “Our key differentiator is that we believe you have to be active when you engage in this space. In order to capture the upside and manage downside risk, you have to be, on a daily basis, looking at this and adjusting your portfolio,” he said, noting that a manager can slowly build or unwind positions, whereas index funds tend to make very binary decisions regarding including or selling a company. Further, while an index fund must wait until its scheduled rebalancing to reflect changes in the market, an active fund’s manager can react immediately. Keep reading the story directly from the source..